My article “Hard Boiled Music: The Case of L.A. Noire” has been published in issue five of the online journal Screen Sound: The Australasian Journal of Soundtrack Studies. It’s related to a paper I gave at the MSA/NZMS conference 2013 and the inaugural North American Conference on Video Game Music in 2014. It was fun to write — I’m a pretty big fan of Raymond Chandler’s novels so drawing links back to his work and style was pretty great. Comparing L.A. Noire to notable examples from film, television and literature, this article discusses the game’s explicit attempt to be an authentic jeu noir and its musical accompaniment to crime and justice in 1940s Los Angeles. By exploring the origins of the game’s musical aesthetic, this article determines L.A. Noire’s relationship with the noir tradition. 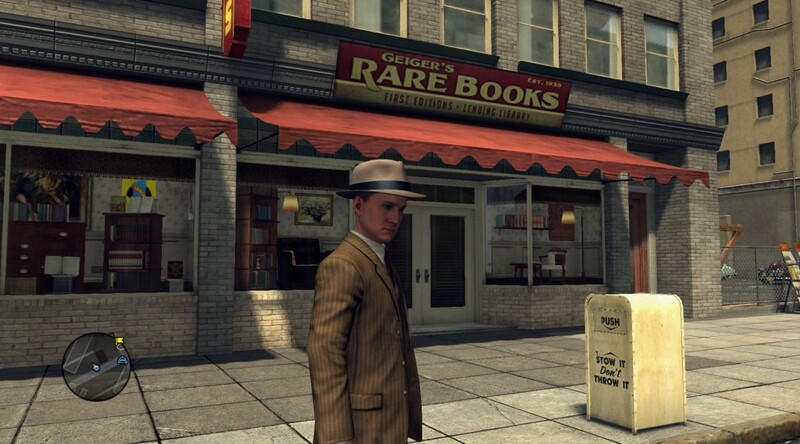 Although the game’s strong links to period noir film are unsurprising, L.A. Noire’s nexus of period style and open-form gameplay connects the player to film noir’s earliest influences, allowing exploration of both a constructed history and the notion of ‘noir’ itself. Accordingly, L.A. Noire should be considered as a progression, rather than a derivation, of the noir tradition. Go have a read! Also, Screen Sound is open access and is one of the few journals to focus on screen media music studies in this part of the world, so check it out while you’re there.